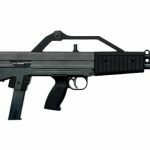 There is no official MSRP in my hands (GHM9 suspected around $1500 and more for the KH9), and the guns are not in-country yet. 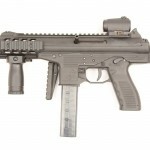 However, I’ve confirmed with B&T USA the approval from the ATF has come. In itself, not worth a post, but G&T Tactical shared some GHM9 photos on M4Carbine.net that are worth showing off. 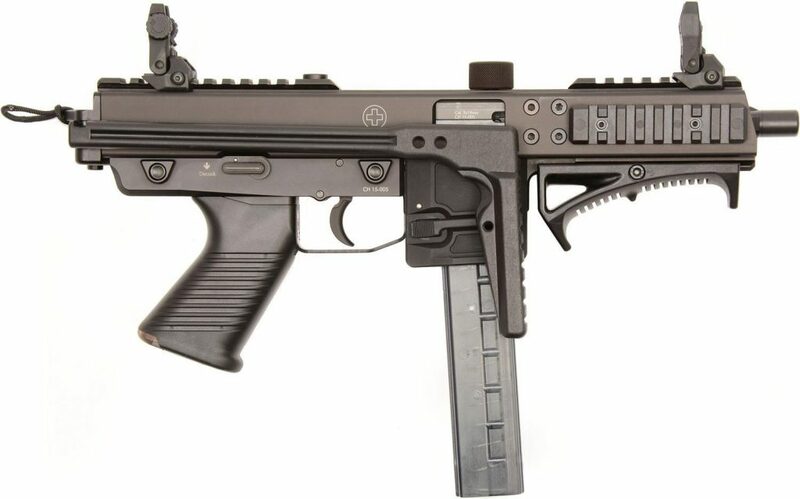 While the GHM9 appears to be just a KH9 with an APC9 type lower it is actually internally different. How different? It’ll take someone posting a field strip of both for us to know. As Stickman pointed out, the tri-lug is an appealing addition. Although the photos here show folding stocks, the guns will be sold in the USA as pistols. 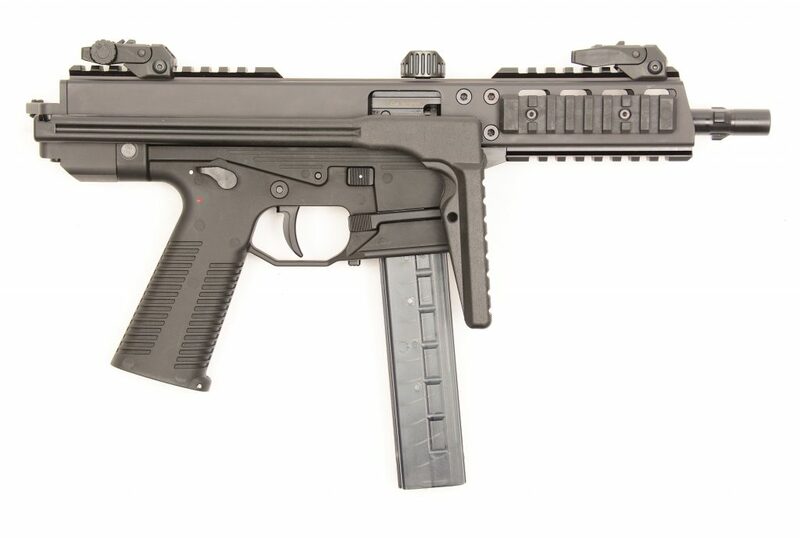 The MP9/TP9 type stock will is already available for anyone interested in registering their firearm as an SBR. 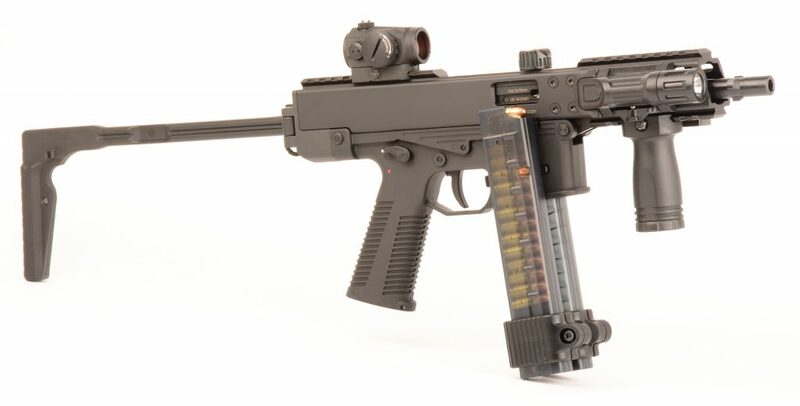 The GHM9 will be the replacement for the limited P26 as B&T’s lower cost 9mm offering (relative to the APC9). 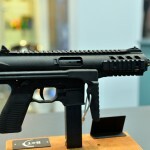 If the P26 is B&T’s take on the TEC-9, I see the KH9 as B&T’s concept of a SITES Spectre. Like the Spectre the KH9 has a DA/SA trigger that anyone familiar with firing a SIG-Sauer P226 will recognize. Here is an early photo of a KH9 with a good view of the Suomi type quad-stack magazine. This is a more recent photo of a KH9. There are several differences between the older and newer photos but I don’t have any specific details beyond what we can see in these photos. Though there was a rumor it may come with an AR15 type grip, I’ve never seen one shown displayed, so I have my doubts. 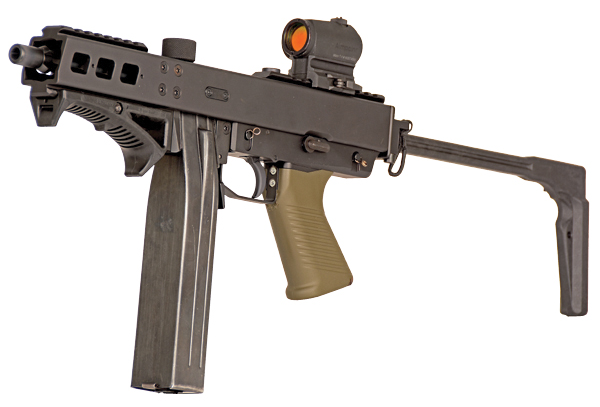 Personally I’d prefer it to keep the PE90/SG550 Swiss type grip. While the P26 is reported as being limited to 400 imports total, the KH9 was initially slated as 222 total production. If that remains true, with the interest shon, is to be seen. If you have any B&T news not shown here, I’d love to hear about it in the comments. 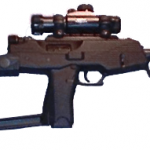 This last photo shows the KH9 with the magazine adapter and Steyr TMP (B&T MP9) type magazine.